We had a busy busy day at Berean. Eva Jean and I were dreading the work load knowing we were going to have Rhoda or Emily today. Rhoda had a job interview and Emily was hauling horses to and from Middle Grove. She took Anna and her colt out then brought back Soul, Serenity, Piper, Oksana, Lola, Emma and Ayanna. Emma for delivering her foal here and the rest for breeding. Thankfully other volunteers started to arrive. 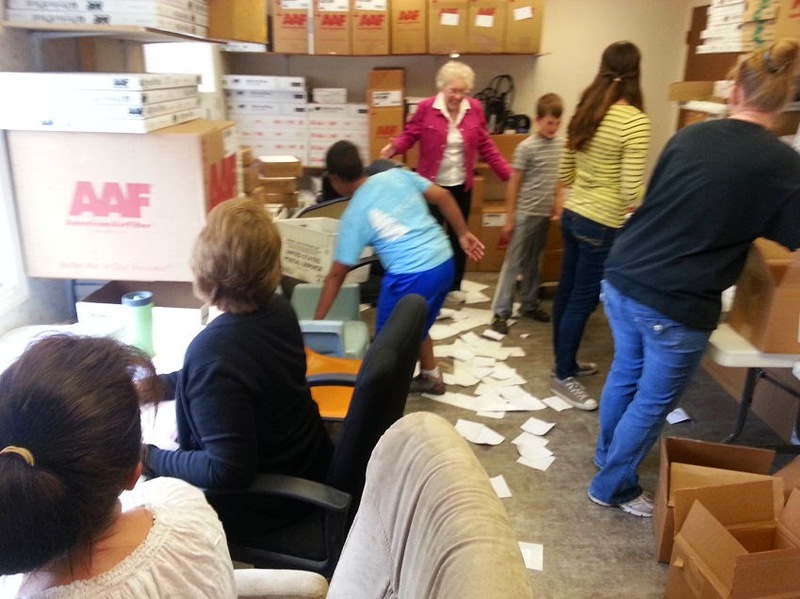 Rachel first then Diane R and then Tiffany arrived with 3 of Lisa's kids and we put them right to work on the hundreds of Bibles waiting to be processed. They started picking up the labels and everyone of them were shocked at the amount. 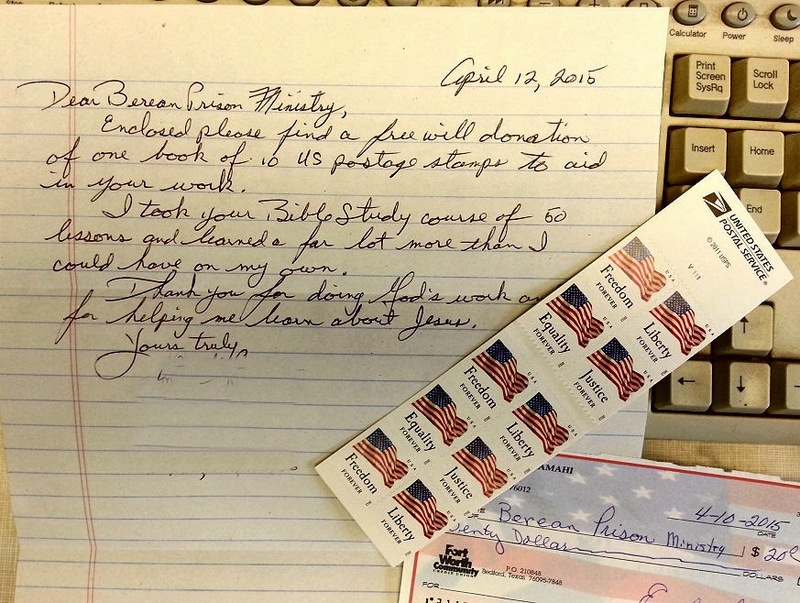 One of the prisoners sent us 10 stamps with a nice letter and another person sent a check for $20.00 to help with postage. The Bible workers aren't the neatest workers but they sure are fast. Eva Jean walked in and let out a screech, of course work had to stop to check out what the problem was. Why take the time to find and use a garbage can when we are hurrying. We had so many Bibles to get out today Mark's van was needed to haul them to the post office. 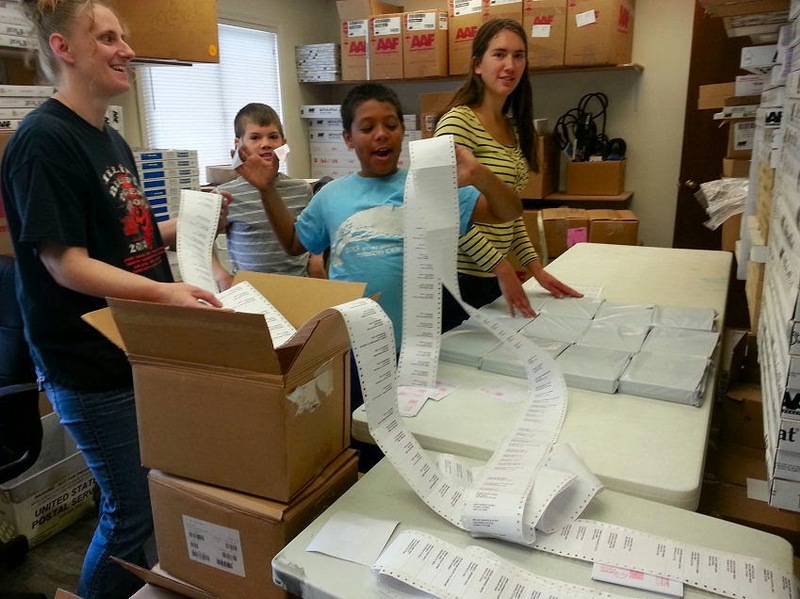 The count was 573 mailed out today. That is exhausting work so we are very very thankful for strong young backs for lifting and hauling to the table then out to the van. Tiffany had to leave before the last 2 boxes were finished but wouldn't you know Beth showed up just then and helped finish them.